City of Angels rises and shines with the mix glory ranging from man-made architectures, temples and lavish hotels to nature’s treasures such as mighty jungles with roaring wildlife. Explore beautiful Thailand with best flight of the gibbon experience in mesmerizing Journey to the jungle of Khao Kheow Open Zoo. Discover enthralling beauty of wildlife during your Thailand excursion with the adventurous flight of the gibbon – an ultimate canopy zipline experience for all the fun-loving wildlife enthusiasts. The moment when visitors enter the Khao Kheow Open Zoo, there is a sublime feeling that runs through their body. 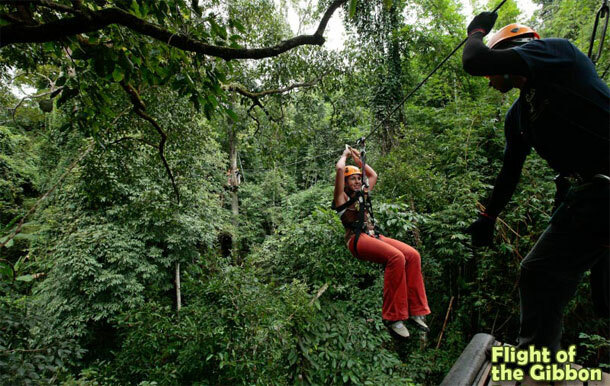 It’s the magic and notion of zipping across high from one corner of the forest to another in the heavenly flight of the gibbon’s Bangkok’s best zipline canopy activity. 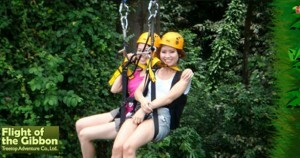 Just imagine the thrills of your visit during your Thailand excursions, where bunch of travelers who first visiting a groups are suddenly left from high tress tops in ones and twos in the world’s largest canopy zipline which has length of 1.8 miles. Thought itself brings Goosebumps as surrounded by scenic sky bridges brushing pass along with beautiful sights of flying birds and other species of the jungle. Besides thrilling swing of zipline of flight of the gibbon Thailand excursion in Khao Kheow Zoo includes mouth-watering food as well. Yes this is not all there is more contact@journeytothejungle.com for further details.